Find Littleton, CO New Homes for sale. View Photos, Maps and MLS Data Now! Sterling - Extended hardwood floors, gorgeous oversized quartz island, white icing cabs, MLS#1832504. COLDWELL BANKER RESIDENTIAL 24. Sterling - The master’s entry includes additional storage. MLS#4252047. COLDWELL BANKER RESIDENTIAL 24. Sterling - The designers did a wonderful job of selecting colors it is a must see if you are looking for a turn-key home! MLS#2879335. COLDWELL BANKER RESIDENTIAL 24. Sterling - (taxes are estimated due to home not yet fully assessed) (estimated completion date July 2019) MLS#1557424. MB JD AND ASSOCIATES. Sterling - This designers delight is a must see if you are looking for a turn-key home! MLS#8651440. COLDWELL BANKER RESIDENTIAL 24. Sterling - The designers did a wonderful job of selecting colors it is a must see if you are looking for a turn-key home! MLS#3288259. COLDWELL BANKER RESIDENTIAL 24. Sterling - List Price reflects Builders Sales Price minus Builders Incentives MLS#8267734. COLDWELL BANKER RESIDENTIAL 24. Sterling - Close to park, trail, and future recreation center. MLS#3268207. Richmond Realty Inc.
Providence Village in the new Sterling Ranch Community offers a planned Rec Center, Pool & Clubhouse, miles of hiking & biking trails and a short commute to DTC or Denver. MLS#6993142. Wonderland Homes. Sterling - This exquisite home has a variety of upgrades including smart home technology, extensive wood flooring, open railing to the second floor, extensive can lighting, professional appliance package, and dual A/C and furnace systems. MLS#5624590. HOTSPOT REAL ESTATE INC..
Sterling - There are a wide range of additional upgrades including the rear covered patio with huge sliding glass door, open wood railing to the basement, coffered ceiling with crown molding in the study, extensive smart home low volt package, 2-tone interior paint, central air conditioning, traditional fireplace in the gathering room and professional front yard landscaping. MLS#3259015. HOTSPOT REAL ESTATE INC.. Easily made into 4 bedroom/4 baths by finishing basement, plumbing already installed, floor plan available MLS#5039814. COLDWELL BANKER RESIDENTIAL 24. Roxborough Park - Purchase this beautifully designed home or build your dream home on one of the three remaining lots from 0.75 to 1.21 acres. MLS#2224285. RE/MAX Alliance - Olde Town. This home in move in ready and won't last long. MLS#6299447. Central Development, LLC. You can semi - customize the home to your preferences. MLS#3445075. Madison & Company Properties. Sterling - (estimated completion date May 2019) (taxes are estimated due to home not yet fully assessed) MLS#8564039. MB JD AND ASSOCIATES. Sterling - (taxes are estimated due to home not fully assessed) MLS#4049060. MB JD AND ASSOCIATES. Sterling - Full kitchen backsplash, Bosch appliances and a finished basement with over 1,000 feet of finished space, with two rec rooms, bedroom and bath. MLS#8694503. Brookfield Residential. Sterling - This exquisite home has a variety of upgrades including smart home technology, extensive wood flooring throughout, open railing, custom window and lighting fixtures. MLS#8179205. HOTSPOT REAL ESTATE INC.. This home is the epitome of authentic Colorado living blended with modern architecture in one of Denver’s premier communities. MLS#8841155. Compass - Denver. Sterling - Ask about current incentives and preferred lender contribution. MLS#1771940. Brookfield Residential. Ravenna - The walkout lower level is perfect for entertaining guests with 1,412 finished square feet, featuring 2 additional bedrooms, full bathroom, half bathroom, great room, game area, wet bar, wine room, an abundance of unfinished storage space with slider wall opening up to a spacious covered patio. MLS#6853831. Compass - Denver. Ravenna - The walkout lower level is perfect for entertaining guests with 1,412 finished square feet, featuring 2 additional bedrooms, full bathroom, half bathroom, great room, game area, wet bar, wine room, an abundance of unfinished storage space with slider wall opening up to spacious covered patio. 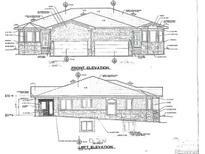 MLS#7539976. Compass - Denver. This home comes complete with a 5-car garage with dedicated golf cart storage. MLS#5017565. Compass - Denver.